Serve the August Emperor as an Eye of Heaven – or plot the downfall of the world-girdling Ming. Take to the skies to defend democracy in Bourbon Europe. Raid the glittering pyramids of Mexico with your Vinlander kinsmen. Dodge British helicopter gunships as you fight for America 200 years after Washington's execution. Raise your eyes to the stars of the Rightly Guided Stellar Caliphate. Or move to seize them all, as agents of the implacable Centrum. 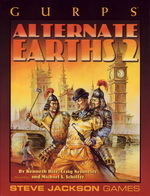 Complete histories, including timelines, for each alternate Earth. World maps for five parallels. The first ever complete writeup of Centrum from GURPS Time Travel. A handy guide to conquering your own parallel Earth. New gadgets and skills from Irish Triad martial arts to the Coanda jet engine. Why settle for only one world? An infinity of Earths is waiting for you! 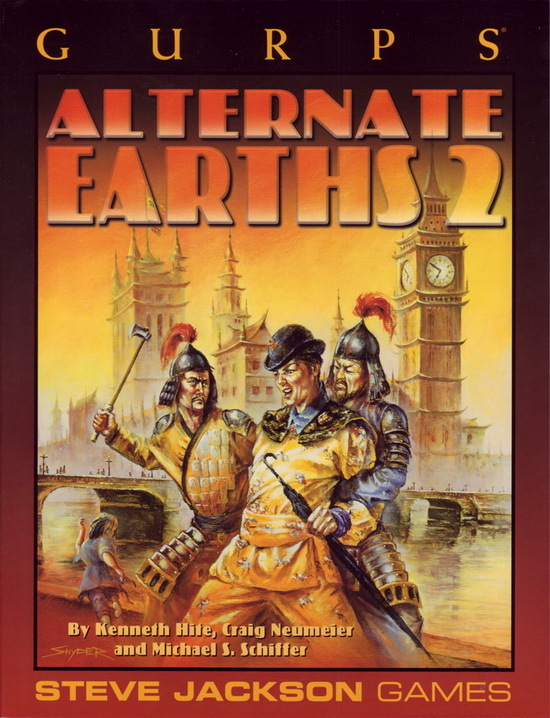 GURPS Alternate Earths – The first book of alternate histories!